On Easter Sunday, we celebrate Jesus’ resurrection from the dead. It’s easy for us, who know the rest of the story, to overlook how confusing and unexpected the discovery of the empty tomb was. 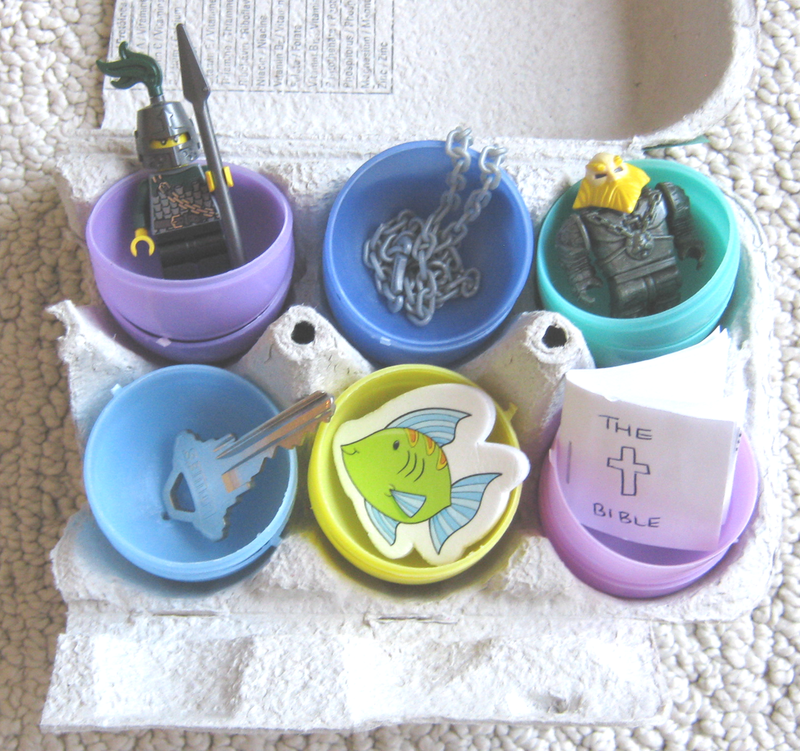 We created this activity to explore the empty tomb with our then 5- and 7-year olds. We’re going to do this activity again this year at the request of our kids. It’s a unique introduction to why we believe Jesus actually rose from the dead, and its interactive and memorable to boot. You still have a few weeks to prepare it, as I recommend you begin the activity Easter Sunday. I want to credit the makers of Family Life’s Resurrection Eggs for inspiring our spin-off Case for the Resurrection Eggs idea. (If you have never used the Resurrection Eggs with your kids, you should; they’re great. You can make them yourself, but I’d suggest buying them. Good ideas should be rewarded and the guidebook that comes with the purchased eggs is far superior to anything I’ve seen online). 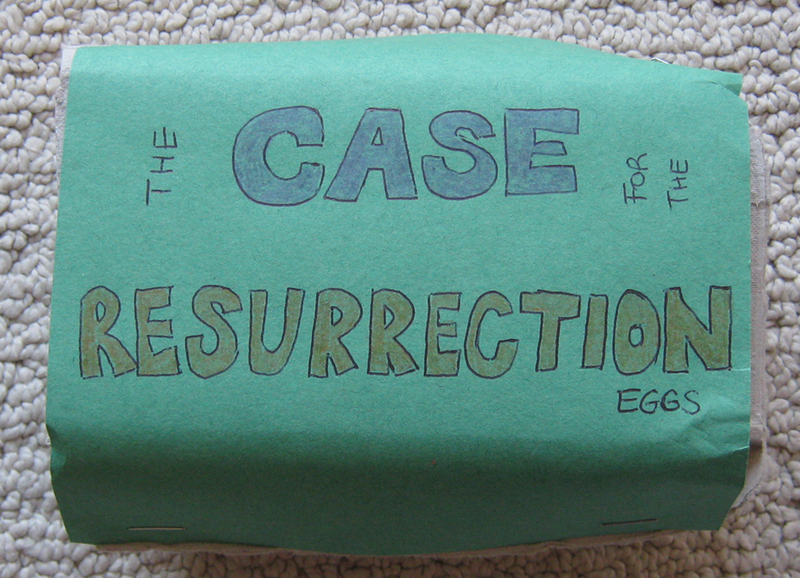 While Resurrection Eggs take you through the Easter Story, our Case for the Resurrection Eggs cover what happened after the disciples found the empty tomb. These eggs investigate what the disciples felt and thought was happening when they found the empty tomb, and what caused them to go from cowering in fear to believing Jesus rose from the dead and boldly declaring it, even to their deaths. The Case for the Resurrection Eggs aren’t exactly the same as the Minimal Facts, they are an introduction to them. If you missed my earlier posts, check out what the Minimal Facts are and how are they are being interpreted by experts in the field. All Bible passages are taken from the NIrV. 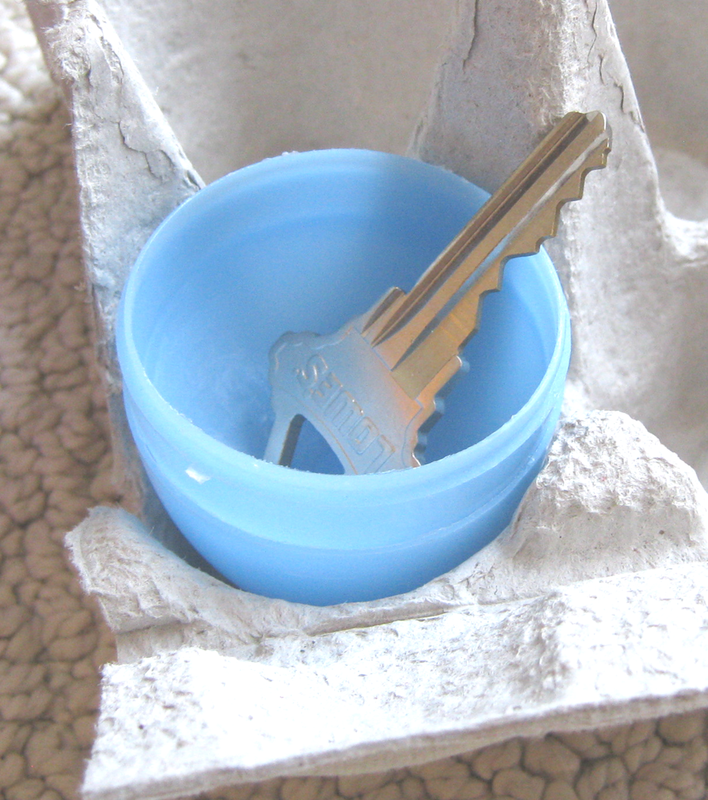 What does the key inside this egg mean? In the Bible, we learn that the disciples were very afraid after Jesus died. They thought that the Jews might kill them like they had killed Jesus. The disciples were so afraid that they were meeting together with the doors locked so that no one could come in to find them. The disciples were not waiting near the tomb where Jesus was buried to watch Him rise from the dead. The disciples were completely surprised when they were told that Jesus had risen from the dead. They did not believe the women who reported this to them. Jesus rose from the dead early on the first day of the week. He appeared first to Mary Magdalene. He had driven seven demons out of her. She went and told those who had been with him. She found them crying. They were very sad. They heard that Jesus was alive and that she had seen him. But they did not believe it. After that, Jesus appeared in a different form to two of them. This happened while they were walking out in the country. The two returned and told the others about it. But the others did not believe them either. We anticipate the good news that Jesus rose from the dead on Easter Sunday. But the disciples did not expect Himto – it was a surprise for them! Filed under Activities for Easter, Apologetics for Kids, Can We Trust The Bible and its Authors?, Did Jesus Rise From the Dead?